Building an exact replica replacement plating tank. Or ... another plating plant accident. Customer damaged a plating tank beyond repair. 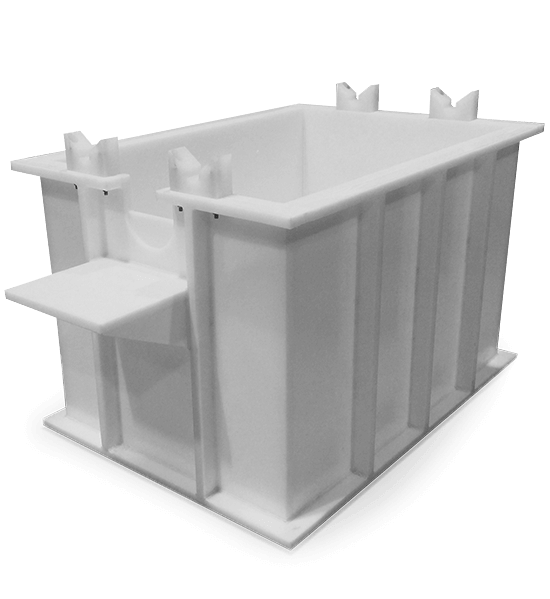 Using CAD drawings and machine cutter paths developed in 1998 for the initial project, we were able to build an exact replica replacement tank in two days. Every dimension, coupling size placement, rim, girth, etc. were identical to our original tank. The customer was back up and running parts, and we gained a friend for life. When you've been in business since 1945, you get a lot of repeat business.